Every so often our book club picks a very popular non-fiction book which makes for a very lively discussion! I had this on my list for a long time and was happy that I got a chance to see what it was all about. I am always intersted in how others live and have grown up and especialy if there was hardship and aspects that I sometimes take for granted. Working hard and moving past adversity into something incredible is always inspiring! The Women's Business Book Club here at the bookshop hosted facilitators from the Bucks County Opportunity Council to discuss this book. J.D. 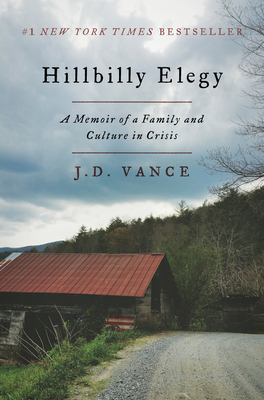 Vance writes of the challenges of growing up poor in a white working class family in Appalachian Kentucky and Ohio, and how education enabled him to create a better life for himself. His writing reveals the struggles, but also the joys of his childhood years and the family he appreciates and loves. Check out the BCOC website to learn how this local organization is helping people in our area.